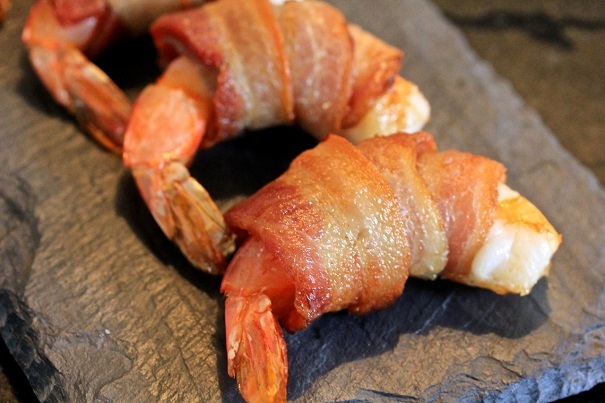 Wrap a slice of bacon around each shrimp, and fix in place with a metal skewer. In a 450 degree oven, place bacon and shrimp onto a baking sheet and bake in oven about 10 minutes. Remove from oven and take skewers out of shrimps. Serve immediately as a small hors d’oeuvre.